Hey party people! I know it’s a little late BUT I needed to share this. 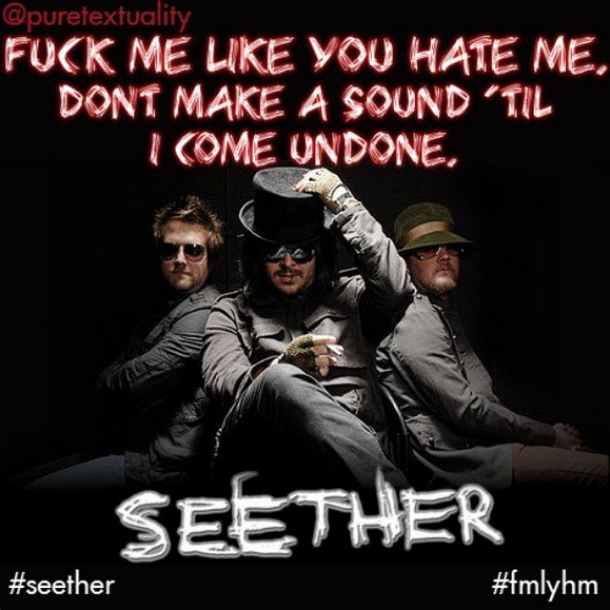 Seether, my favorite band and the muse for the book I’m working on right now, is playing a live shown at the House of Blues in Cleveland Ohio USA and Yahoo! Live is airing it LIVE. RIGHT NOW! This band and their music are the driving force behind the plot in Dance With the Devil. Definitely worth checking out if you like hard rock. *wink wink* Enjoy!! !